Founded in 1867, Howard University is a private, research university that is comprised of 13 schools and colleges. Since its inception in 1970, Howard University School of Business has produced thousands of distinguished MBA and BBA graduates prepared to meet the challenges of the global business environment. As a top-notch business school, Howard was the first in Washington, DC to be accredited by AACSB International-The Association to Advance Collegiate Schools of Business. The business school’s prominence has continued to grow with the addition of new programs, the awarding of various distinction and accreditations, as well as positive assessments from well respected academic reviews. Applicants to the Howard MBA program must submit the following materials to the Admissions Office: a completed application form; an up-to-date resume; an official score report for the GMAT (taken no more than 5 years before date of application); official transcripts for all undergraduate and graduate course work; three letters of recommendation, co...Applicants to the Howard MBA program must submit the following materials to the Admissions Office: a completed application form; an up-to-date resume; an official score report for the GMAT (taken no more than 5 years before date of application); official transcripts for all undergraduate and graduate course work; three letters of recommendation, completed by at least one academic and one professional supervisor; a personal statement describing the applicant's abilities, experiences, and goals in pursuing the MBA; and proof of at least 2 years of significant post-collegiate professional or managerial experience. Applicants must have completed advanced college algebra and/or calculus in order to be admitted. International applicants must submit all of the above plus a Statement of Financial Resources. International students who attended a non-English speaking undergraduate institution must have their transcripts translated and interpreted by a professional service. They must also submit an official score report for the TOEFL. (1) Center for Accounting Education; (2) Center for Banking and Financial Services; (3) Center for Excellence in Supply Chain Management; (4) Center for Professional Development; (5) D.C. Small Business Development Center; (6) Georgia Avenue, Development, Growth and Enterprise Transformatoin (GADGET) Center; (7) Global Business Center; (8) Institute of Innovation and Technology Entrepreneurship Center; and (9) Real Estate Apprenticeship Program (R.E.A.P). The Howard University MBA Program maintains partnerships with the National Black MBA Association, National Society of Hispanic MBA, and most recently, Asian MBA on the national and local levels. Graduate students are strongly encouraged to join and participate in these organizations. Also, other university minority support groups can be found at http://www.howard.edu/currentstudents/studentlifeactivities. Through the graduate assistantship program and/or student volunteers. Howard University MBA Program has a relationship with the MBA Women International Association, and encourages female students to join and actively participate in the Association. Other university support for women can be found at http://www.howard.edu/currentstudents/studentlifeactivities. 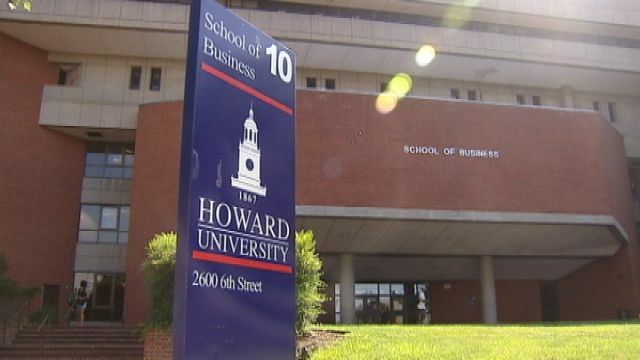 Want more info about Howard University, School of Business Full Time MBA? Get free advice from education experts and Noodle community members. How many different tracks are there to choose from for full time MBA students at Howard University? The full-time MBA at Howard University offers various options so you can choose which path best fits your program and career goals.